We often hear that obedience to God is our ticket to living in freedom and joy. I raise my hands to the heavens because I could go for a strong dose of freedom and joy over certain areas of my life. If you are breathing, I'm confidant that you, too, could use some life changing freedom as well. That thief is none other than our enemy. He wants to steal anything good that Jesus offers us. His lies convince us to search for freedom outside of Jesus. Every time we buy into his lies, we find ourselves in captivity. In order to be set free, we must whole heartedly be obedient to God. Period. 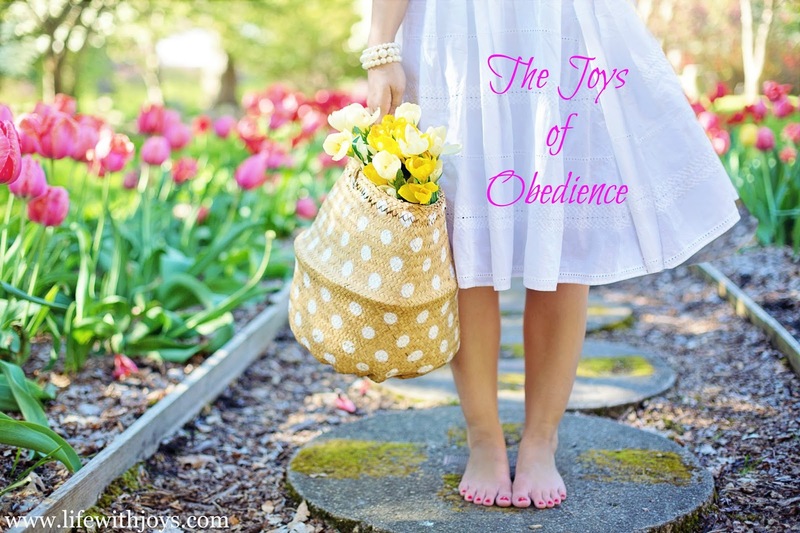 But what is obedience? How can we truly be obedient to Christ and live the abundant life He offers us? Hollman's Illustrated Bible Dictionary defines obedience as to hear God's word and act accordingly. Sounds good, right? But how do we implement this into our lives? For years, I have heard that I needed to be obedient to Christ, but I don't think I ever sat and really examined what obedience looks like. I assumed that if I was living as God instructed, I was being obedient. After researching the definition and passages in the Bible, I believe it goes way deeper. After dissecting the definition of obedience, I came up with 3 ways that we can become obedient children of God. We must pray daily and consistently. To pray, is to have conversation with God. Just as we talk with loved ones, talk with Jesus. It is not meant to be fancy. In fact, He doesn't call for us to be theologians and use elaborate terms. Jesus longs to hear from us right as we are. Simply, prayer is just talking openly and honestly with God. Nothing you say will shock Him. I believe that praying constantly means having our hearts set on Jesus. He does not expect us to neglect our duties, our loves, and ourselves. Having a mindset for Christ is essentially praying because we are doing everything for Him and through Him. For example, when you prepare a meal for your family, you do it because you love them and want to offer nourishment in a delicious way. Loving your family through cooking for them is having a heart for Jesus because He gave you your family and expects you to take care of them. When you do so with a loving and kind heart, you are in the mindset of Christ. As we pray (stay in the mindset of Jesus), we must recognize the ways He speaks to us. He desires a relationship with us. A relationship by definition is between two people. Jesus speaks to us in so many ways. Unfortunately, all too often we don't hear because we never slow our minds down enough to hear Him or recognize Him. Jesus speaks to us through His written word, through others, through song, through that still small voice we hear - just to name a few. Prayer is obedience to God because it causes us to think upon Him and His ways. It creates a relationship and allows His love to richly flow into our lives. When we seek Him and invite Him into our lives through prayer, He always shows up. You will seek Me and find Me when you search for Me with all of your heart. Trust is giving our whole hearts to Jesus, no matter what. Trust means relinquishing the idea of control and fully opening our hands and giving Him everything we are holding on to. This can be a tough one because we are under the falsehood that we are best at orchestrating our lives. Letting go of our need to be in control can be very scary. What if we hand the reigns over and then life doesn't go the way we planned? I have discovered in the areas of my life that I totally trust Jesus, I have perfect peace. Believe me, those areas were far from peaceful before I decided to trust Him and allow Him to lead me. I am in awe and amazed at the beautiful blessings He has given me because of my decision to let go and trust. The Lord is my strength and my shield; my hearts TRUSTS in Him and I am helped. Those who TRUST in the Lord will renew their strength; they will soar on wings like eagles; they will run and not grow weary; they will walk and not faint. Can I get an amen!?! I love the Lord's promises. I think we could all use some soaring on wings like eagles. To surrender means to give up control. When we surrender to God, we set aside our plans and eagerly seek His. We look to His ways and desires and align our thoughts, actions, and beliefs with Him. We live to serve Him and know Him. As we go about our days, we can't help but share His love with those we encounter. We pray for discernment and hearts that will recognize our sinful ways. When we completely surrender to Christ, our hearts will be filled with the joy of the Lord and we will find great strength through Him. Surrendering takes effort and daily action. Just saying we surrender will not do. We must be proactive and mindful every single day. Philippians 4:4-9 is a wonderful instruction manual for surrender. We will be wise to write it on our hearts and walk in it daily. Rejoice in the Lord always. I will say it again: Rejoice! Let your graciousness be know to everyone. The Lord is near. Don't worry about anything, but in everything, through prayer and supplication with thanksgiving, let your requests be made known to God. And the peace of God, which surpasses every thought, will guard your hearts and minds in Christ Jesus. Growing in our obedience will take time. Beautiful flowers do not overtake gardens over night. They grow slowly and gracefully and before we know it, their radiance shines so brightly that we can't help but be attracted to them. God sees our desires and efforts to be obedient children of His. He knows our deepest hearts and longs to help us along our journey. All we have to do is ask for His guidance, strength, and wisdom. It may be difficult to become completely obedient, but I know it will be so worth it. Nothing feels as good as freedom and joy in Christ.